Natural” Permanent Makeup…What is the cost and is it worth it? Natural Permanent Makeup, is it worth it? HomeBeauty ArticlesNatural Permanent Makeup, is it worth it? “Natural” Permanent Makeup…What is the cost and is it worth it? You will surely find that the cost of permanent makeup varies. 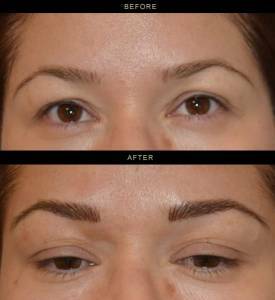 Permanent Eyebrows are the #1 client request…. “I want natural permanent makeup or microblading for my eyebrows and I don’t want to wear eyebrow makeup anymore”, are what clients usually say to me. Let’s say I only do the microblading /hair stroke technique; you basically will have “tattooed lines” mimicking hair. ***(Remember most of what you see on social media are fresh brows. The day your brows are done the strokes look amazingly hair like and the color appears on top of the skin, then once healed, the strokes do fade and are viewed through the skin and are tattooed lines; which have a tendency to somewhat blur). You will have some skin space showing between the strokes and that sometimes bothers the eyes especially if you’re used to wearing makeup, so you may be back to wearing your makeup but you do have a guideline to follow. Maybe that’s not worth it to you, especially since strokes alone, will fade rather quickly. After being a Permanent Makeup Artist for 14 years I’ve created an infusion technique that I find even better than hair strokes alone- I call it “Blended Brows™”. This is a combination of the hair stroke technique along with super soft shading. Shading can be super soft and transparent (I do recommend) or shading can be solid (not recommended because of the “tattoo look”). The blend of techniques I do gives you the dimension from the hair strokes and hides them in the super soft shading, which gives the brows more volume. The Blended Brow™ is great because you have the best of both techniques. 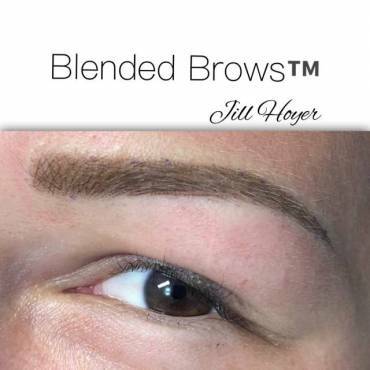 The Blended Brow™ (hair strokes/microblading and soft shading) meets that “natural look” many clients are looking for and they can find themselves makeup free most of the time. The combination technique will also last longer than hair strokes alone. If you are used to heavier, saturated eyebrow makeup i.e. a solid brow, you most likely will still wear makeup over your permanent makeup no matter what techniques I do. Today’s eyebrow makeup has fibers, fillers, and really can create a 3D volume that sits on top of the skin whereas the permanent makeup/microblading, once healed is under the skin. So you are always looking at the permanent makeup through layers of skin which isn’t quite as vibrant as your topical makeup. There is a fine line trying to match permanent makeup to heavy topical makeup. 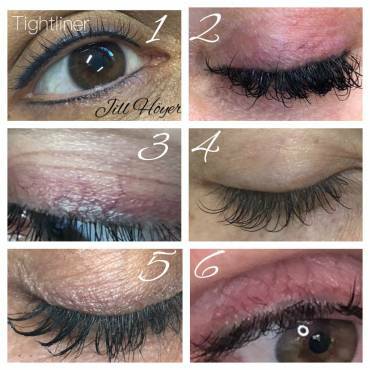 If the permanent makeup (no matter what technique), is applied too heavily it can come across harsh and that is what most clients don’t want. The only upside to applying permanent makeup heavily saturated is that it lasts longer than the “natural” brow techniques. However, this certainly is not something I would recommend for my clients. Is it worth it to have Natural Permanent Makeup? The overall client consensus is YES! -Even if you still choose to wear eyebrow makeup, the “natural” permanent makeup guideline you will have to follow saves you time in the morning rush and gives you confidence even when your makeup wears off. -GOOD TO KNOW: The more natural techniques do fade and will need maintenance every 1-3 years for brows. Permanent Makeup maintenance is usually at a slightly reduced cost if the original design is still visible. For new permanent eyebrows/microblading, most well established and educated talented artists charge $600-900 give or take depending on their skill set and use of multiple modalities and techniques, needles, colors, etc. I often compare permanent makeup maintenance cost to that of other repeated beauty services such as Botox, hair etc. Except you don’t need to repeat it as often. Lash Ext. 17x/yr @ $200 + $75 = $1500 Initial + fill every 3 weeks. These totals don’t even include all the time we sit at the salon verses 1 time per year to maintain your permanent brows. The request for “natural” permanent makeup is doable, however, keep in mind “natural permanent makeup/microblading techniques” aren’t as saturated or as deep in the skin as other techniques and do need maintenance 1-3 years and will fade with time due to body chemistry and environmental factors, medications, etc. Still worth it! 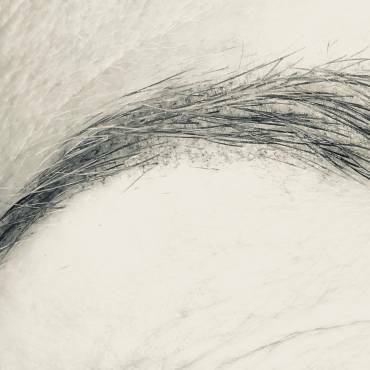 “Blended Brows™” is what most clients seem to like best verses just one way or technique which can look too detectable, cookie cutter and unnatural. Clients appreciate our complimentary and educational consultations in order to learn about the best permanent makeup for them. Call 408.395.7792 or do a CVE (consult via email).